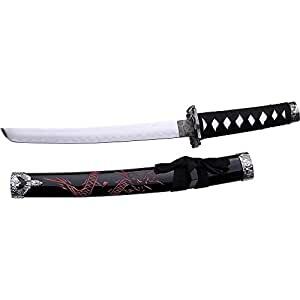 The BladesUSA tanto blade Oriental sword (ykk-58s Series) has a shorter profile with a 21-inch overall length. This dagger-like knife has a 14.5-Inch, 4mm-thick carbon steel blade that’s complemented by a cord-wrapped handle for a firm grip. It comes with a lacquer scabbard decorated with a carved Dragon.